More than 800 participants comprising young leaders and students between the age of 16 and 23 were present at the conference. 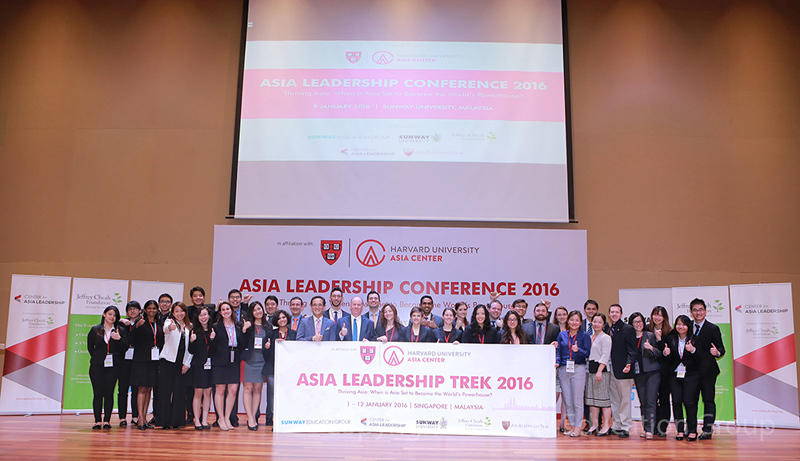 The Asia Leadership Conference is aimed to provide participants an extraordinary opportunity to learn from the Harvard-trained workshop facilitators and local esteemed leaders. 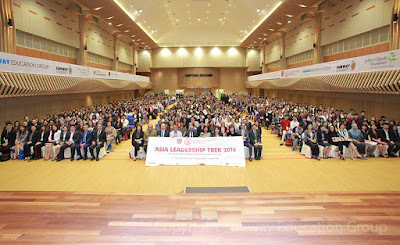 He shared that the Asia Leadership Trek started out with the aim to connect talents and to channel world’s best practices in Asia in ways to help individuals and organisations in Asia expand with a common desire to make the world a better place believing that there is a unique opportunity and responsibility to make the world a better place. Dr Elizabeth Lee, Senior Executive Director of the Sunway Education Group welcomed the Conference delegates and advised them to not brood on the past in the new year but to embrace the present and look forward to a hopeful tomorrow. 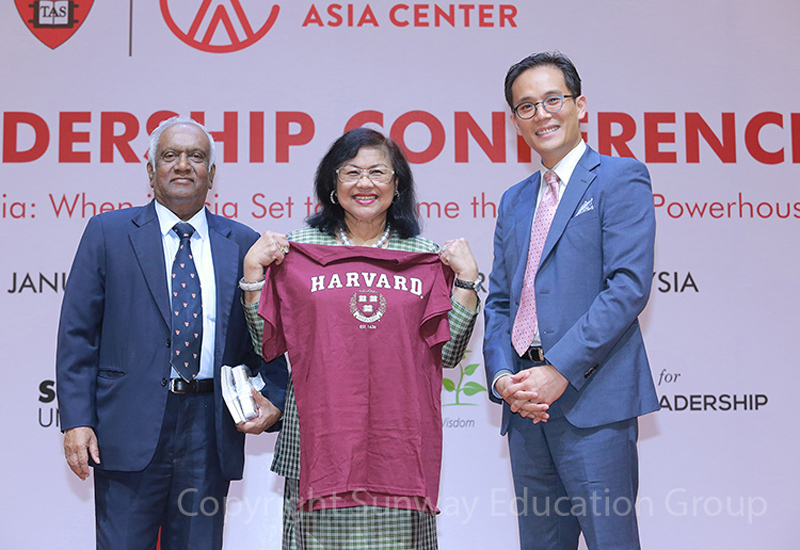 Tan Sri Rafidah Aziz delivered the keynote address which was followed by a TED Talk and a forum discussion in the morning session. “Leadership is in you, it’s the qualities that you have. Leadership is in every team that you belong to. If you rise above the pack, you are better than the rest, you are a leader,” said Tan Sri Rafidah. She informed the delegates that they can become better than the rest by having more confidence, more abilities, capabilities, discipline, possess a sense of responsibility and most importantly they need to be a team player. She said the Conference is to help further mould the leader in them. In the afternoon Yang Amat Mulia Tunku Ali Redhauddin ibni Tunku Muhriz had a special session with a ‘Dialogue on Leadership in Asia – Insights and Inspirations’session. The conference included various workshops facilitated by the ALT Trekkers and a session on career mentoring and professional development. The Conference was hosted by the Sunway Education Group in collaboration with the Asia Leadership Trek and the Centre for Asia Leadership Initiatives, supported by the Harvard University Asia Centre and the Harvard Kennedy School ASH Centre for Democratic Governance and Innovation. 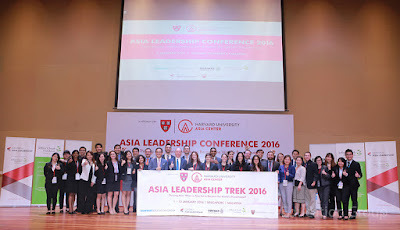 The hosting of the Asia Leadership Trek for the third year is the result of a strengthened partnership between Harvard University and Sunway through the establishment of two Jeffrey Cheah Professorships at Harvard, the Jeffrey Cheah Fellowship and the Jeffrey Cheah Travel Grants, and the Jeffrey Cheah Institute on Southeast Asia (JCI) in association with Sunway University. 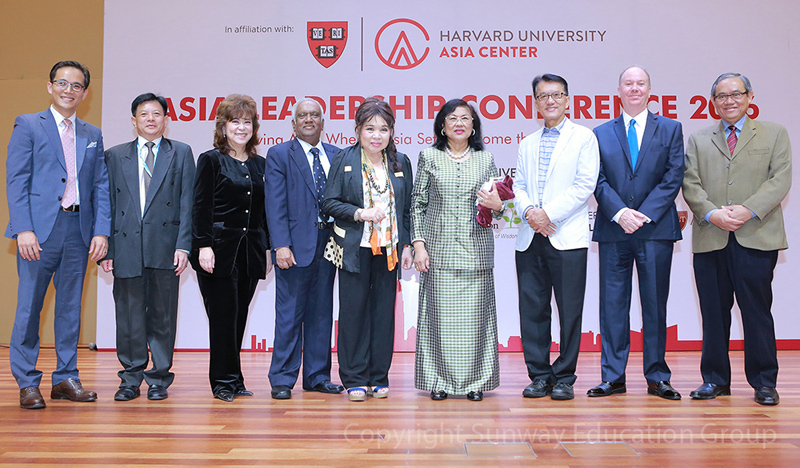 After successfully playing host to the Asia Leadership Trek for two years, the University has recently partnered with the Harvard University Asia Centre to bring in the Asia Leadership Institute (ALI) to Sunway. With ALI based here, the Sunway Education Group hopes to see a greater transfer of knowledge with the in-flow of graduates from Harvard Kennedy School, Harvard Business School, Harvard Graduate School of Education, Massachusetts Institute of Technology (MIT) and Stanford University, who will bring with them cutting-edge knowledge and best world practices. As the largest education social enterprise in Malaysia, the Jeffrey Cheah Foundation is committed to providing sustainable quality education through global collaborations as well as developing an infrastructure that supports and facilitates the international exchange of faculty, students, knowledge, skills and technology.